Orlando, FL. – Diana Santa Maria spoke on the topic of “Pre-suit Steps and Procedures – Six Hot Tips and Things You Need to Know ” during the Florida Justice Association’s 30th Annual Workhorse Seminar (Medical Malpractice Session). 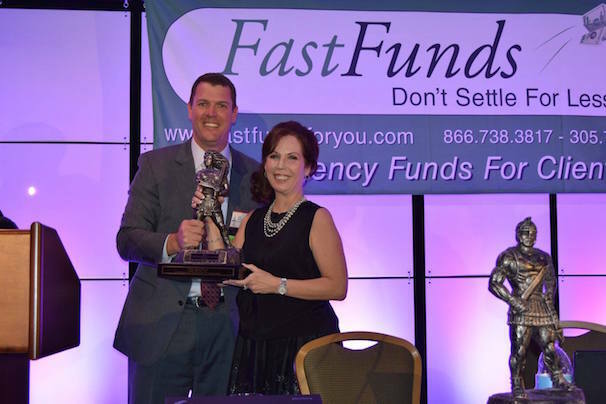 During the Friday luncheon, Diana was presented with the FJA “2016 Compassionate Gladiatrix Award”. 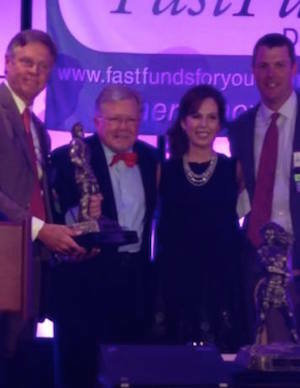 She received this award alongside Howard Coker, who received the “2016 Compassionate Gladiator Award”. 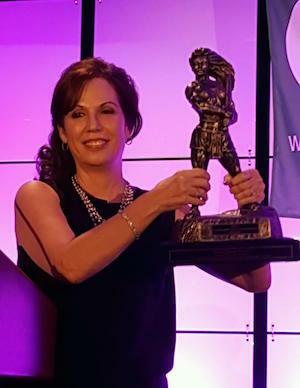 The Compassionate Gladiator and Gladiatrix Award (s) are presented to an individual who exemplifies “strength, skill, drive, and heart” and who can be described as an “unwavering advocate, a master of the trial, and a champion for victims.” In her acceptance address, Diana dedicated the award to all the Gladiators and Gladiatrixes who every-day go into the court-room arena to fight for justice. The Florida Justice Association’s 30th Annual Workhorse Seminar also featured prominent professionals, attorneys and keynote speaker Abby Wambach, a two- time Olympic gold medalist and FIFA Women's World Cup champion. The Florida Justice Association, formerly the AFTL (Academy of Florida Trial Lawyers), aims to solidify Florida's civil justice system and protect the rights of Florida's citizens and consumers. The FJA firmly believes in the importance of justice and that Florida's consumers are made safer when large corporations and industries are held to a high ethical standard and accept fair responsibility for their actions. The FJA works in the Legislative, legal and public arenas to better ensure that rights are protected and justice served for victims of negligence.